CINCINNATI -- Cincinnati mourned five young children 26 years ago. 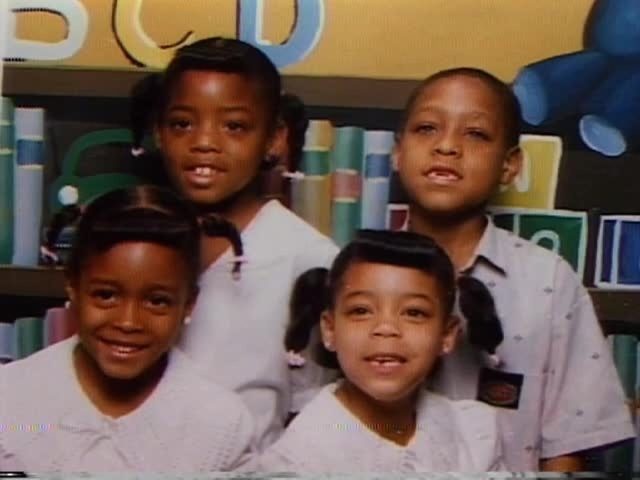 Three sisters, aged 8, 10 and 12, died due to heavy smoke inhalation when their home went up in flames on Jan. 26, 1992. The girls' 11-year-old cousin and an 11-year-old neighbor also died. Addie Mack’s four children. Mykkila, Deondra and Denitra perished in the 1992 fire; Rod survived. 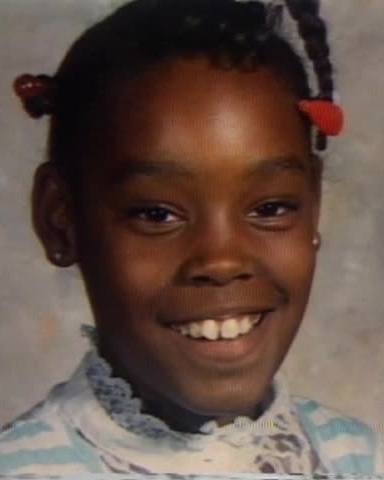 Markeca Mason, 11, died in the 1992 fire. 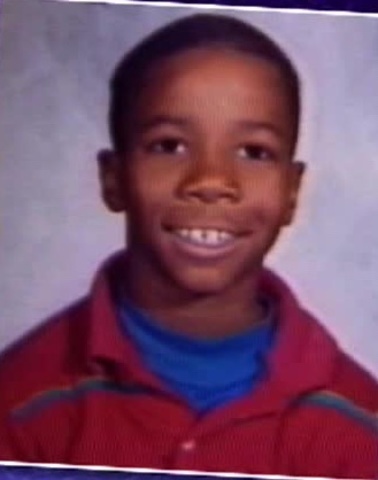 Richard Gaines, 11, also died in the fire. One child survived the fire -- 13-year-old Rod Mack. He told police that he heard his sisters screaming and ran into their bedroom. He realized his only escape was out the second-story window; he told the younger children they needed to jump. Mack made it out, but no one followed him. Eighteen years later, in Ohio's Death House in Lucasville, Mack wore a suit jacket and tie to watch the man who started the fire die by lethal injection. William Garner was 19 when he set fire to Addie Mack's English Woods home, which led to the deaths of the children. He was arrested and admitted to setting the fire the following morning, but he always maintained that he didn't mean to kill the children and he thought they would escape the house. Garner was 37 when he was executed. He didn't exactly ask for the Mack family's forgiveness before he was executed. Instead, he said he wanted them to find peace. "I am heartily sorry that my carelessness caused a great loss to many and if my flesh gives you all some kind of peace, I want that for you," he said . "If this will give you closure, I hope it will." Mack was only 13 when he experienced this traumatic loss. A situation that, undoubtedly, aged him. Something makes the situation more tragic: When Garner set the fire, his mental age was the same as Mack's -- 13. That's according to the psychologists who evaluated Garner for his clemency hearing. William Garner at age 19. We've seen recent cases in which a suspect is spared the death penalty due to a low IQ or obvious developmental or intellectual disability. But Garner, whose IQ was estimated around 76, wasn't offered this mercy. "Although not mentally retarded, he suffers from the same mental limitations in which a retarded person suffers," Garner's clemency report states. "He is of limited intellect, with a history of developmental disorders since birth, and had brain impairment from lead poisoning. His adaptive functioning has consistently been measured within the defective range." However, the "unusual magnitude" of the murder case led the Ohio Parole Board to unanimously support Garner's execution in 2010. “It is clear Garner suffered developmentally and was raised in an exceptionally and horrendously abusive environment," the Ohio Parole Board said in a clemency report . "However, we cannot conclude that the mitigating factors are significant enough to outweigh the aggravating circumstances of an offense resulting in the death of five innocent children." Garner never denied the actions alleged by detectives and prosecutors: He admitted to stealing a purse that belonged to Rod Mack's mother, Addie Mack. He said he stole it from the emergency room at University Hospital on Jan. 26, 1992. He said he took a cab to the home address listed on Addie Mack's ID and used her key to enter the house with the intention to steal items. He took a Sony Boom Box, a television, a phone and a VCR, according to his statement to police. Garner's rap sheet showed arrests for theft beginning when he was 11 . In most cases, he was placed on house arrest. When Garner ransacked the home, six children were asleep in the house. No adults were home. Garner knew the children were home. In fact, he told police that one girl woke up in the night and asked him for a glass of water. Garner gave her a glass of water and sent her back to bed. Garner said he was "worried about his fingerprints" in the home and made a "snap judgment" to set fire to the house. Garner only denied the accusation that he meant to kill the children in the home. It was an attempt to cover up the crime and eliminate witnesses, prosecutors said. Garner said he only wanted to eliminate fingerprints. Fire officials determined that Garner first tried to set fire to two vacant bedrooms, but both fires went out. Then, he set fire to a couch in the living room. That fire quickly filled the house with smoke, fire officials determined. Garner took off in a cab before heavy smoke began pouring out of the home. He told the cab driver that he went to the home in the middle of the night to take items back from an ex-girlfriend with whom he "had a falling out," according to his clemency report . He even paid the cab driver in stolen electronics. He asked the cab driver to drop him off at UDF where he bought a Hawaiian Punch, a jelly cake and candy, according to a news report at the time. The cab driver later told investigators about the strange encounter with Garner. Garner pleaded no contest to counts of arson and theft, but pleaded not guilty to aggravated murder. Repeatedly, prosecutors insisted that the death of the children was the "obvious result" of the fire. Surely, Garner knew they would die, they said. "The five children never had a chance to live their lives and a sixth had his life destroyed," prosecutors said in the report. "The lone survivor will perpetually be disturbed by the events he survived. His nightmare will have no end." 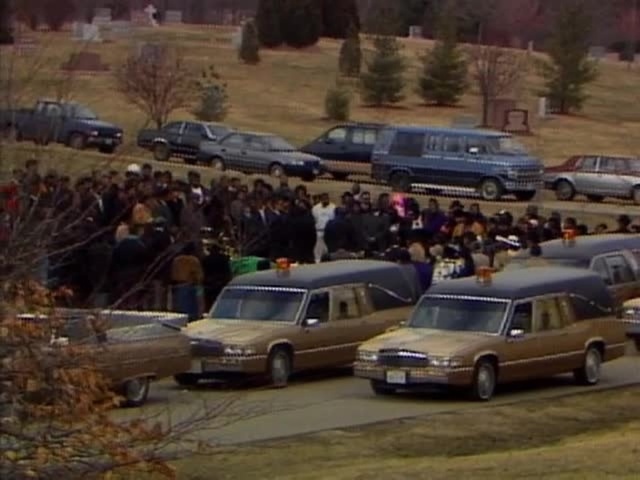 The funeral for Addie Mack's children and their cousin, Markeca Mason. After tearful testimony from mothers of the victims, firefighters and detectives, a Hamilton County jury found Garner guilty of five counts of murder. Garner's family also testified during the trial. His sister, Lisa Ross, described Garner's traumatic and violent childhood. Ross said she thought their childhood home was "evil," full of physical abuse and sexual abuse. She said her younger brothers, Garner and his twin brother, Willie, were sexually abused by an older brother. Another sister was murdered. She tearfully apologized, saying she always regretted "not being able to protect her younger brothers," the clemency report said. She asked the jury and judge to spare her brother's life. A former Ohio Supreme Court Justice testified that "(Garner) never had a chance at a normal life." However, prosecutors countered saying that Mykkila Mason, Deondra Freeman, Markeca Mason, Denitra Satterwhite and Richard Gaines' lives were ended; Rod and Addie Mack will never have a normal life, either. Ohio only recently resumed executions after a three-year pause due to questions over botched lethal injections. But there was a time when Ohio executed an inmate every few months. Under Bob Taft, Ted Strickland and John Kasich, Ohio executed 56 men. When Garner was executed, Ohio was "on pace" to break a record for most executions in one year, second only to Texas, according to a story from UPI.com . Garner's execution itself had a hiccup -- though not as turbulent as the execution of Dennis McGuire , whose 26-minute execution was disturbing and seemingly painful enough to halt Ohio's executions while the cocktail used for lethal injections was reevaluated. In Garner's case, a faint heartbeat was detected after the lethal drugs were injected into his bloodstream. Prison Director Ernie Moore told reporters that the coroner waited five minutes, checked again for a heartbeat and pronounced Garner dead. Rod Mack watched the execution, along with Addie Mack, Marshandra Jackson (mother of one victim) and Carl Freeman (the father of two victims). Lisa Ross, Garner's sister, went to the death house, but didn't witness the execution. "He was ready to go," Ross told reporters after Garner was pronounced dead. "He's at peace now and I hope this other family can be at peace as well." So many people wanted to witness the execution that the prison had to open a second viewing room, spokeswoman Julie Walburn told WCPO's Tom McKee, who also attended the execution. "Everything was by the book," McKee reported. For his last meal, Garner ate a Porterhouse steak with A1 sauce, barbeque ribs, fried shrimp, onion rings, potato wedges with cheese, sweet potato pie, chocolate ice cream, a "big salad", Funyuns and Hawaiian punch, according to the Ohio Department of Rehabilitation and Correction . The only federal statute meant to protect people who are mentally disabled from execution comes from the 2002 decision of Atkins v. Virginia . The U.S. Supreme Court ruled that executing people with intellectual disabilities violated the Eighth Amendment. A study by Harvard's Fair Punishment Project found that two-thirds of the men on Ohio's death row experienced "serious childhood trauma...horrifying instances of extensive physical and sexual abuse." Additionally, at least 11 of the 26 men currently on Ohio's death row have some kind of intellectual disability or cognitive impairment, according to the 13-page report . "The Constitution mandates that the state restrict the use of the death penalty to only those 'whose extreme culpability makes them 'the most deserving of execution,' regardless of the severity of their crimes," the report said . "Evidence suggests that Ohio has not met its constitutional obligation. It is instead planning to execute nearly two dozen individuals with substantial impairments, rather than reserving the punishment for those with the greatest culpability." 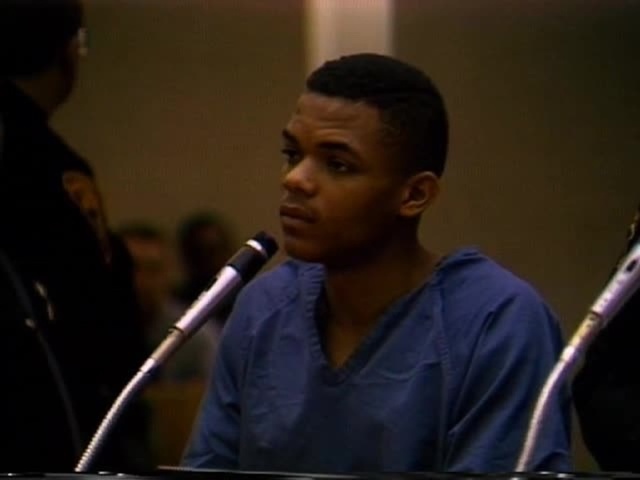 On the Harvard report is Raymond Tibbetts, a local man who was convicted of killing his wife, Judith Sue Crawford, and Fred Hicks. The Harvard report said Tibbetts was severely neglected by his alcoholic parents and grew up in an extremely abusive foster family. The report said Tibbetts' attorneys failed to outline the effect "such astounding abuse surely had on him." Tibbetts is scheduled to die on Feb. 13.